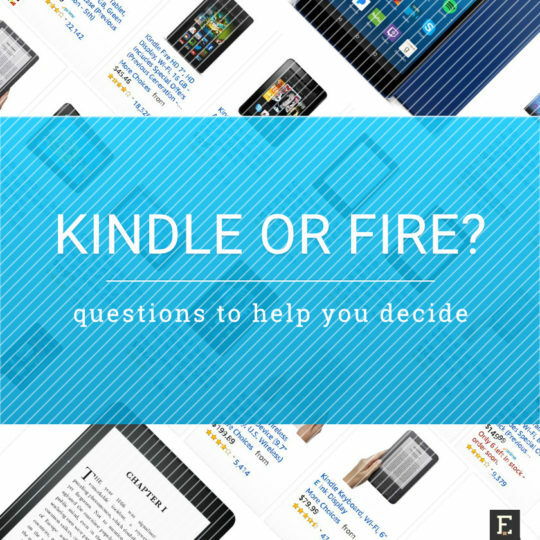 This questionnaire, accompanied by simple tips, will help Amazon users choose which device better fits their needs: a Fire tablet or a Kindle e-reader. When you are a satisfied Amazon customer, the decision which device to buy seems to be an easy shot. Is it really? Things are simple only when you are an avid book reader, and need a device that will help you fight distractions and keep your eyes in good health. The only thing to do is to replace the Kindle with the newer generation from time to time. Things become more complex when you start sharing your Kindle cloud library with other members of your family. Or when you decide to enter one of Amazon’s subscription-based services (naming only Prime). Take a look at the questionnaire below. You may find it useful. 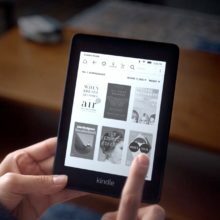 It will help you clear some doubts referring specifically to using devices offered by Amazon and connected to Amazon ecosystem: Kindle e-readers and Fire tablets. If you believe you still need an advice what kind of the device you need, make sure to check out the questionnaire which will help you choose between a tablet and e-reader. Kindle e-reader – Kindle, just like any other e-reader, is dedicated to reading ebooks. Its major benefit is a black-and-white e-ink screen that doesn’t cause eye strain, letting you read books for hours. Besides ebooks, the possibilities the Kindle offers are limited. Fire tablet – an affordable tablet with a color LCD screen, which lets you read ebooks, watch movies, play games, or listen to music. You can also use it to browse the web, answer emails, take pictures, or check out social media. 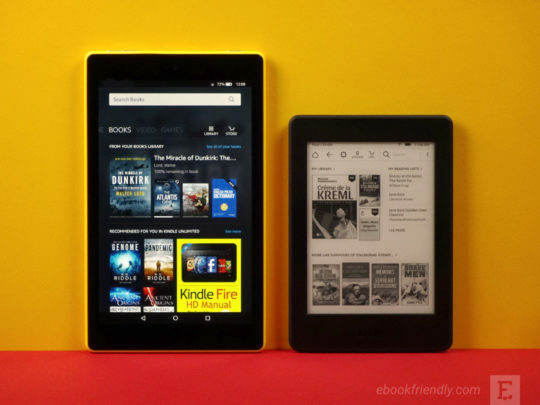 Kindle or Fire – which device to choose? 1. What kind of books do I mostly read? 2. Do I want to read newspapers and magazines? 3. Do I want to avoid eye fatigue? 4. Do I need a text-to-speech? 5. Do I want to listen to audiobooks? 6. Do I need to read large pdf files? 7. Will I use this device to read books to my children? 8. Will the device be used by other members of my family? 9. Am I a member of Amazon Prime? 10. Am I a subscribed to comiXology Unlimited? If you’ve chosen answer “A” more than 5 times, you will prefer the Kindle. It’s a great device for reading, and are not interested in anything else. With more than 5 picks for “B,” you should consider getting the Fire. 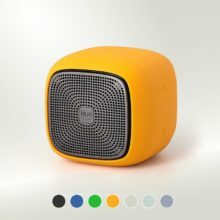 It’s a great, versatile device that can be used by all members of your family, enjoy the digital content of different kinds, and help make the most of your Amazon subscriptions. Kindle has its limitations. Small 6-inch e-paper display, the lack of audio and color, make it hard or impossible to read any digital publication that includes pictures, graphs, or animated elements. However, if you’ve checked answer “A,” you will not regret buying the Kindle. When books you like to read are mostly novels and other publications that contain – besides their covers – only the text, you can be sure you’ll never feel your Kindle doesn’t meet your expectations. Newspapers and magazines are full of colorful pictures. Their digital editions include animations, videos, and interactive elements. The size of every page is too large to entirely fit on the screen and keep the body text readable. Navigating through pages, zooming in and out, jumping from one article to another – all this is essential to make reading a magazine or newspaper possible and enjoyable. The tablet is much better for this task. You can still do it on the Kindle, but you may find it irritating. Therefore, if your choice for question 2 is “B,” you should get the Amazon Fire tablet. If you are concerned with eye strain from reading on the screen for too long (answer “A”), the obvious choice is to get the Kindle. One of the biggest, if not the biggest, benefits of the Kindle and other e-readers is their screen. It’s using a different technology from the one have in tablets or smartphones. The display used in the Kindle – e-ink (electronic ink), called also “e-paper” – doesn’t need a backlight to display the image. And it’s the backlight in LCD displays that causes eye fatigue. It’s the light that’s directed right into your eyes. Such a backlight display is used in Amazon Fire tablets. No eye strain? Pick up the Kindle. Do you expect the device to speak to you the text of the book via text-to-speech feature, or have a possibility to navigate it via voice? Currently offered Kindle e-readers don’t have audio, so if you want to have the chance to use text-to-speech and checked answer “B,” a better device for you is the Fire. 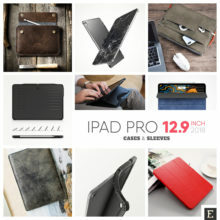 You can still consider the Kindle, but you need to buy an extra accessory. It’s called Kindle Audio Adapter and it enables VoiceView for Kindle. 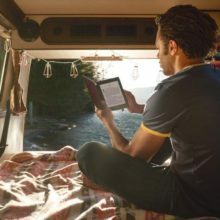 The feature lets you navigate your Kindle with text-to-speech and listen to books through connected speakers or headphones. For the same reason – the lack of audio – listening to audiobooks on the Kindle is not possible. Therefore, if answer “B” is what you’ve checked, the Fire tablet is the only choice. In the Amazon ecosystem, audiobooks are provided by Audible. You can buy and listen audiobooks separately, using an Audible application on your Fire tablet. You can also add an Audible narration to the Kindle book you already own. The smart feature called Whispersync for Voice will let you switch seamlessly between reading and listening with just one tap. Do you have a large collection of ebooks in pdf format? Are these academic publications or textbooks? When you check answer “B,” think twice before buying the Kindle. By saying “large pdf files,” I mean two things. First, it’s the format of the single page in the book. Textbooks are larger than novels. Trying to fit the entire page on the 6-inch screen of the Kindle is possible but the text will become unreadable. It’s because most pdf files don’t allow the text to resize. The second meaning is the how much disc space the pdf file takes. It could be 1 MB for a novel, but it could be 300 MB for a picture-rich academic publication. An internal memory of the device you own will become a crucial factor when you decide to pack all your pdf ebooks into it. The Fire tablet is a reasonable choice. You can choose between 7, 8 and 10-inch screens (for the textbooks, the larger screen the better). Most importantly, the Fire is better than the Kindle when it comes to memory – and you can expand it a few times by using a microSD card. For everyone who has checked “B,” a tablet is an obvious choice. It’s not that you can’t use the Kindle to read a book to a child. It’s about how entertaining this book will be. Children’s books are about color and pictures. What’s more, digital editions of books for kids can have sound, animation, and interactive elements your child could play with. 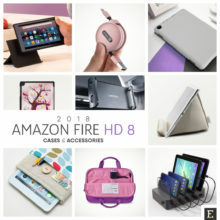 All these features can be used on the Fire, and can’t on the Kindle. The answer is not as clear as in other questions. 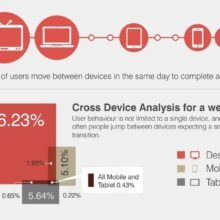 It depends on which device you already own. 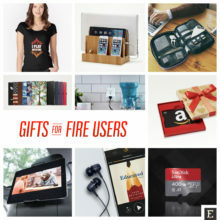 If it’s going to be your first Amazon device, and you are going to share it with other members of the family, a better choice is to pick up the Fire. 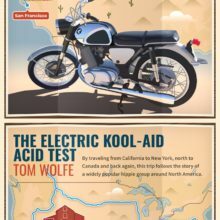 It’s simply a more versatile device, and others may want to use it differently. For instance, if you are an avid book reader, you will use the Kindle app. One of your kids will prefer watching videos, the other one will go for enhanced books or games. If you own the Kindle, and your significant other also likes to read ebooks, you probably share the same Amazon account and the same Kindle cloud library. You may buy the second Kindle (it makes sense when your current one needs a replacement). If you, however, want to get two devices to access all your digital content, a better idea is to have one Kindle and one Fire. Use the e-reader for reading. Use the tablet for reading and everything else. Are you a member of Amazon Prime multi-benefit subscription program, or consider getting it? To make the most of what Prime offers, you should take the Fire. 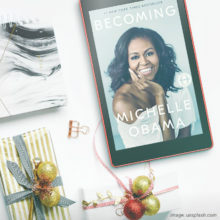 Prime membership gives unlimited access to Kindle ebooks and other digital content. Yes, you can read on your Kindle e-reader the ebooks from Kindle Owner’s Lending Library. Have you thought, however, how much you miss, if you can’t use Amazon Prime Reading? Amazon Prime Reading gives unlimited access to a rotating selection of hot Kindle ebooks, popular magazines, children’s books, or comics. Every month you can read new editions of magazines, new comic books, and newly entered ebook bestsellers. 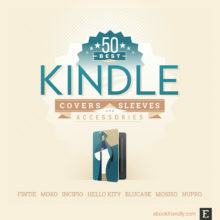 As we already talked, the Kindle is not suitable for magazines, newspapers, comic books, and graphic novels. Another part of Amazon Prime that can be enjoyed on the Fire, and not on the Kindle, is called Audible Channels. It’s a carefully curated selection of original programs and audio editions from top sources, naming only The Wall Street Journal or The New York Times. The pattern here is the same as with Prime: pick up the device that will let you enjoy your Amazon subscription to the fullest. If you are the comic book fan and want to read more and more comics in digital format, you should pick up the Fire tablet. What’s more, when you decide one day to subscribe to comiXology Unlimited that offers an unlimited access to over comics and graphic novels, you will find out your Fire tablet is a perfect device to enjoy them.